To me, it isn't summer if we aren't having ice cream cones after dinner on the porch or lawn. 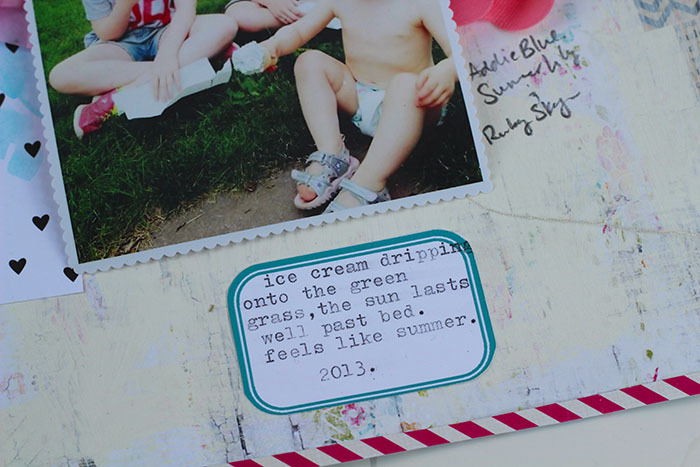 Melty, drippy, hot and sticky, during those endless summer days. I wanted to do a handpainted title for this layout, and this piece was originally just a rough sketch, to get an idea of size and placement. I ended up really liking it, so although it is not perfect, I just used it. I loved the Fancy Pants ampersand die cut from the August Thrift Shop add-on at Cocoa Daisy, and it was a perfect match to the Witch's Brew October Afternoon Sprinkler I used to paint the title. Love these Panda Eight printables that come with your Cocoa Daisy subscription. So handy! I typed write on this printable label. 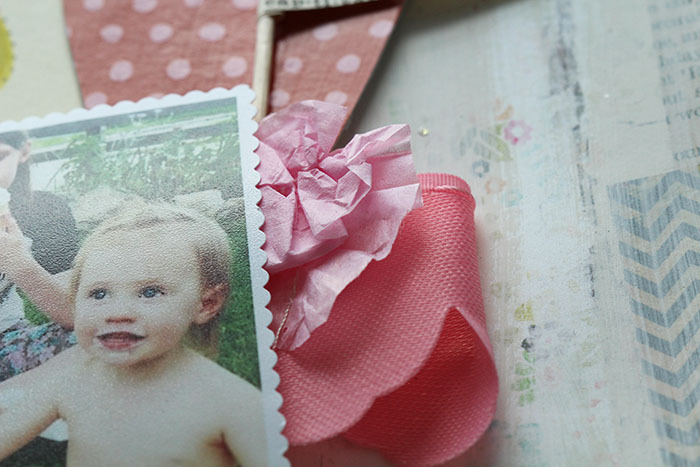 This pull-a-flower ribbon by Little B is so pretty! It came in the Thrift Shop add-on, too. I used it as a scalloped ribbon, and pulled it just slightly to add a bit of gathering and dimension. I also tucked in a piece of pleated tissue paper ribbon that I sewed. 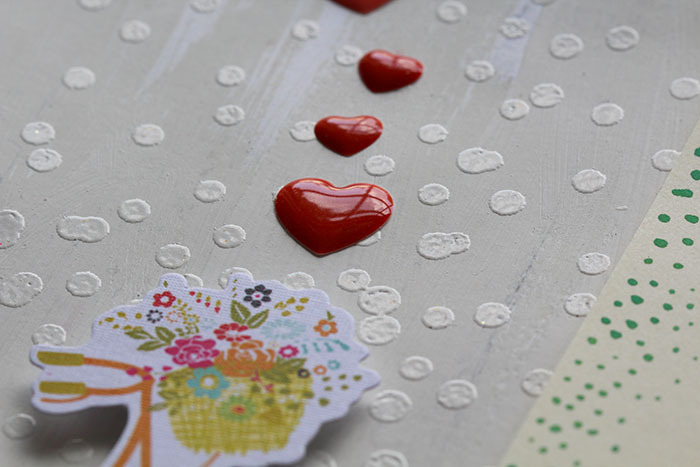 I heat embossed the Cocoa Daisy confetti stamp onto the background paper, using Versamark and white ZING embossing powder by American Crafts. I stuck down a wobbly row of heart enamel dots... I like the way they look like they're floating up from the bike. 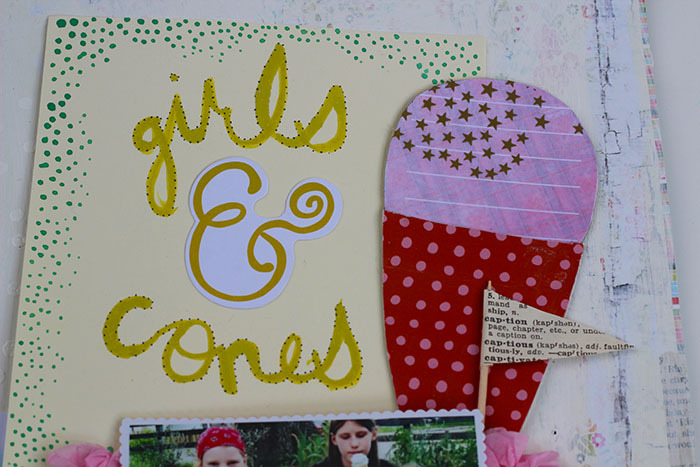 I made an ice cream cone embellishment out of a piece of paper from the cut apart sheet included in the Thrift Shop add-on (looks like that was my fave and most-used add-on this month!) 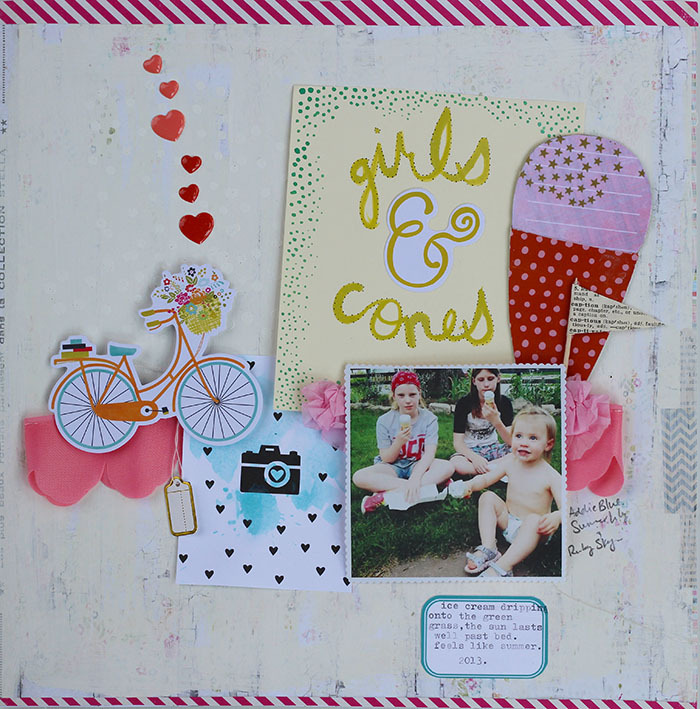 and a scrap of cute pink and red polka dot paper that was a Cocoa Daisy exclusive from a kit earlier this year -- Here I Am. 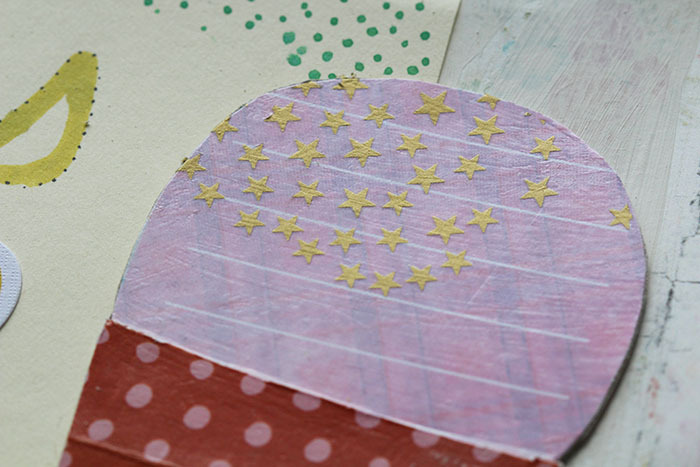 I freehand cut the papers, adhered them to chipboard and covered them with matte gel. Then I added some Jenni Bowlin Studio gold star rub-ons over top. Cute! 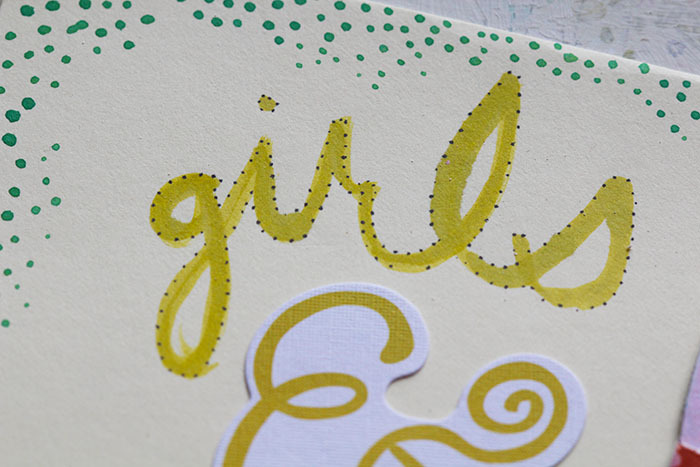 I wish I had taken before and after shots, because adding the little pen dots around the painted letters completely transformed them! What a difference it made. So easy, too. I love that. Easy AND nice. How lovely! I love the hand painted title! I love yoru painted title!! I thuogth it was a pre-made PL card. So cute. Keep making them!!! Great layout! Too sweet (no pun intended). :) Love the title and that adorable photo! Great page! !